"Family Owned and Operated Since 1951"
When you're looking for a roofing company to get your commercial or residential roofing installation done, it can be tempting to go with the first roofing contractor you find. The only problem with this is that not all roofing companies were created equal. What you save in cost you might make up for in a shoddy craftsmanship that will lead to roof damage at the slightest storm. I’ve been in business for over 60 years and service a very large area. 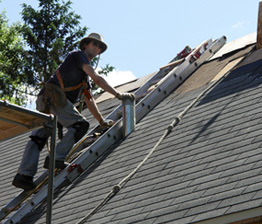 If you live in the Rochester Hills, Auburn Hills, Macomb, Troy, Rochester, Birmingham, or the surrounding areas, then G & M Roofing can help you with any roofing jobs that you might have. What Sets G & M Roofing Apart? We only use materials of the highest quality. We believe that if you're going to do something, you should do it right the first time. Quality over quantity is our mantra, and it's what has allowed us to be in business for so long and collect a large roster of satisfied, returning customers. We treat our customers like friends instead of numbers. We will guide you through every step of the process and operate in a totally transparent way so that you always know what's going on with your roofing job. We offer free estimates for new roofing jobs, so you can figure out what your job will cost going in instead of having to wait till the job is done or even pay for that initial estimate. We clean up and haul away any debris that we might create during a job, so you won't have to have another expense of hiring someone to clean your yard on top of the roofing service you've just had done. We do a variety of custom work, so just about anything you can think of is probably possible when we hand it off to our team of experts. We started right here in the area, and over our 60 years of operation. We care about our community, and that's why we treat every job as it's the only job I’ll do. When you put that level of personal care into everything you do, you're sure to end up with results that you can be proud of. At G & M Roofing, we're fully licensed and insured, and we work closely with building owners and managers so that all jobs run smoothly. If you're looking for a roofing company with the experience, skill, and personal touch that a quality roofing job requires, then look no further than right here in your neighborhood. At G & M Roofing, Siding & Gutters, we are a fully licensed and insured family-owned roofing company committed to providing high-quality, customized work for homes and businesses. Get started today – contact us today for an honest, accurate estimate for your roofing project. 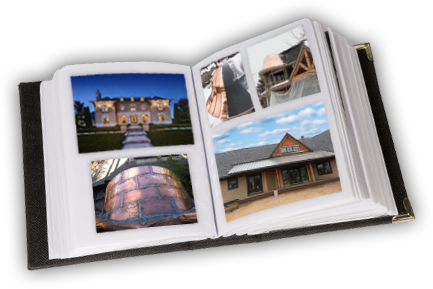 Browse our gallery to see examples of our past work and get inspired! The contents of this webpage are Copyright © 2019 G&M Roofing, Siding, & Gutters. All Rights Reserved.